Supercharge your trade show strategy. 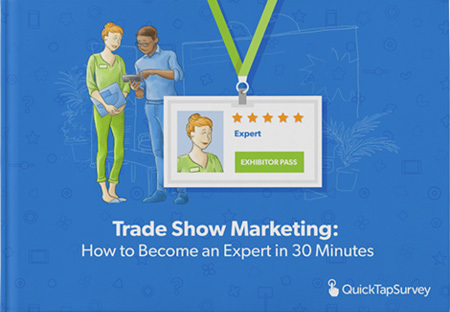 Become a trade show marketing expert with the ultimate guide to mastering trade shows - includes tips, tricks, templates and best practices. Pre-show planning is the most complex of all and is the #1 determinant of trade show success. By the end of this section, you will have learned how to create a trade show plan, develop a marketing message and start your outreach program. At-show activities bring to fruition all the hard work and planning you have done during the pre-show stage. By the end of this section, you will have learned how to schedule each day, make great connections, and get the most out of social media. The post-show game plan wraps up your trade show activities and is focused on follow-up and results measurement. By the end of this section, you will have learned how to prioritize follow-up, measure what worked and what didn’t, and plan for next year. "I was inspired to create this book to provide an A to Z guide of everything you need to know about trade show marketing in one place. If you're new to trade show marketing, or even if you've organized events in the past this guide will provide you with tips and best practices to turn you into a trade show marketing master." Fill out this form to get your copy of our ebook.